In the world of ecommerce, offering exceptional user experience is what sets you apart from your rivals. When building your online presence, you need to keep in mind that everything, from your SEO strategy to your website design has a shared purpose- to inspire your customers to buy from you. This is why your checkout page is incredibly important to your bottom line. It is your customers’ final stop, a place where your leads finally become your customers. And, it needs to be perfect. When optimizing your checkout processes, you need to take numerous factors into consideration, most important of which is the payment methods you offer. Providing the right payment options allows your customers to make effortless purchases, significantly boosting their buyer experience. As a result, your conversion rates and sales will skyrocket. According to Statista, credit cards are still the major payment method. Still, not everyone uses them. The number of cyberattacks is on the rise and, having security concerns, some of your customers aren’t comfortable leaving their credit card numbers online. This is exactly what triggered the rise of alternative payment methods that are expected take over the ecommerce industry in the years to come. So, what happens to those online retailers that don’t offer multiple payment methods? They lose a customer, of course. A recent eMarketer’s study highlights that 42% of online shoppers make their buying decisions based on the payment options offered on a site. In other words, offering alternative payment methods can significantly improve your customer satisfaction and motivate them to perform the desired action. To address your customers’ expectations, you need to offer the payment options they use. Credit cards, which are still the most popular payment option. Bank transfers- get your customers to complete the purchase by directly transferring their money from their bank accounts. E-wallets, like PayPal or AliPay. Your customer creates an account, deposits the money on the bank account linked to their e-wallet. Cash is important, even in the ecommerce world. This is why you should offer cash-on-delivery services. Fee financing- you need to think about those customers that cannot pay for your products at the moment. This is why you need to consider teaming up with financing companies like QuickFee. They will allow your customers to pay with monthly installments, while you will receive their full balance in a few days. Cryptocurrencies are rising rapidly as one of the most powerful ways to make online transactions. This is why adding them to your ecommerce site is always a good option. Take your customers’ country and the devices they use into consideration. Choose a reliable provider that vouches for your customers’ data safety and builds trust with them. Make sure you offer the most popular payment methods in a certain industry or country. Analyze the performance of each of these channels, as well as your conversion rates to see what strategies work for your customers. Boosting customer conversions is not just about offering different payment options. You need to optimize your checkout process from A to Z and take their user experience to a whole new level. Here are a few strategies that may serve as a solid starting point. Give them the opportunity to pay even if they don’t have an account. Whether they don’t have time to fill out additional form fields or they don’t want to receive numerous promotional emails from you, some of your customers don’t want to set up an account to make a purchase. And, you shouldn’t make them do so. Apart from the option to sign up, you should also give them the opportunity to check out as guests. Make sure your website design is user-friendly and visually-appealing. Every element, from the background to colors, should be consistent. Reduce redirects. People don’t want to be sent away to another, third-party site. They trust you and they want to complete their purchase on your site. Simplify your sign-up forms. Asking too many questions ruins your customers’ experience and is one of the main reasons why people ditch shopping carts. Highlight that your site is safe. This means switching to HTTPS and complying with PCI Security Standards. To make your efforts visible to your customers, add SSL and PCI badges to your site. Don’t distract them from making a purchase. This means removing popups, leaving lots of white space, and having catchy CTAs, as well as adding a simple navigation bar and a search bar. By offering multiple payment options and optimizing your checkout page, you will provide your customers with an enjoyable user experience and significantly improve your conversion rates. Most importantly, you will inspire them to come back to your site over and over again. As you already know, in the turbulent digital world, nothing is carved in stone. So, make sure you monitor the effectiveness of your payment methods to optimize them for your future sales. 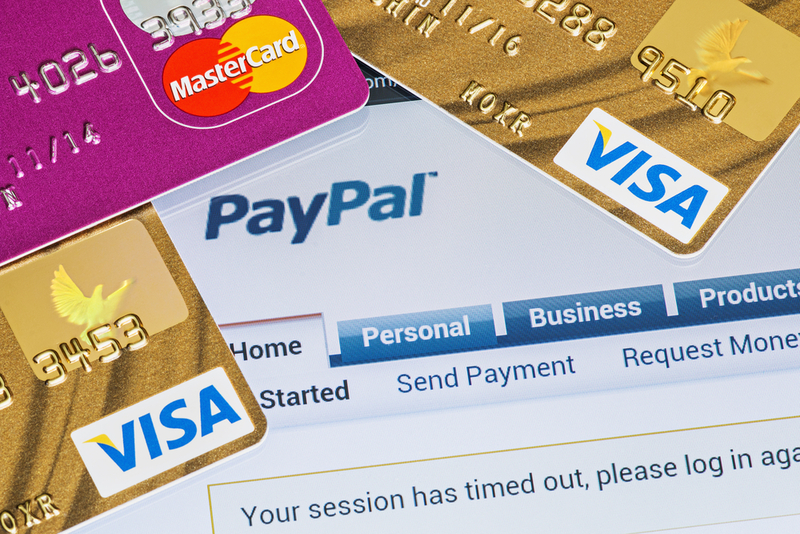 How do your payment methods influence your conversion rates?